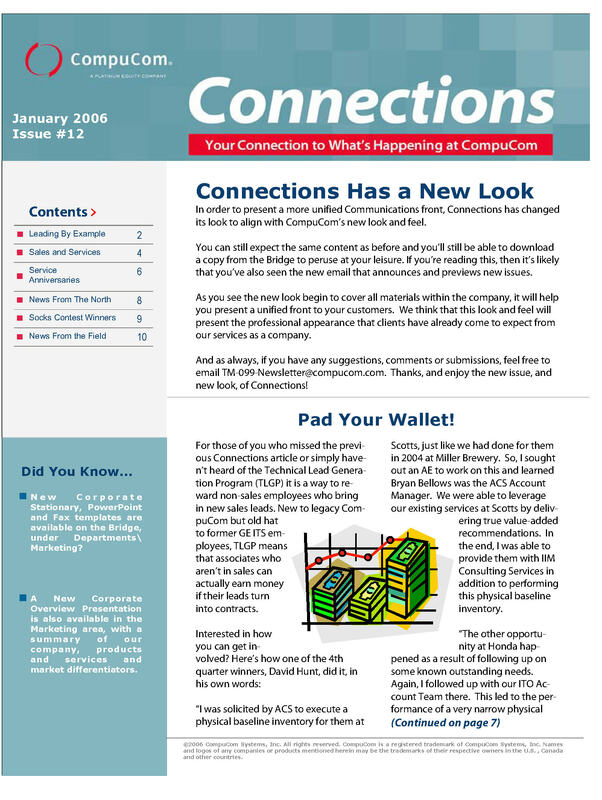 This newsletter was created for CompuCom Systems. It was distributed in print and on the company Intranet. The newsletter continued to be the only source of communication for thousands of company employees. Months after I resurrected the company’s Intranet, management saw the value and rebuilt its marketing department.